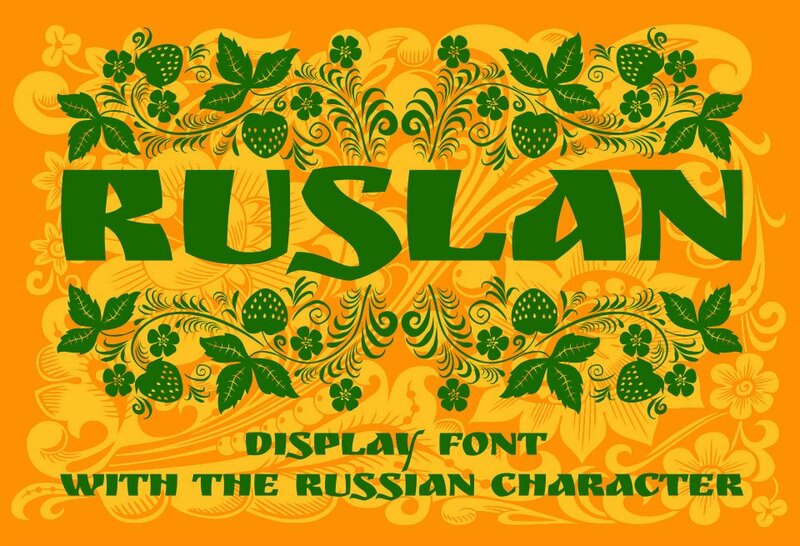 Decorative display font, stylized as an ancient Russian script. 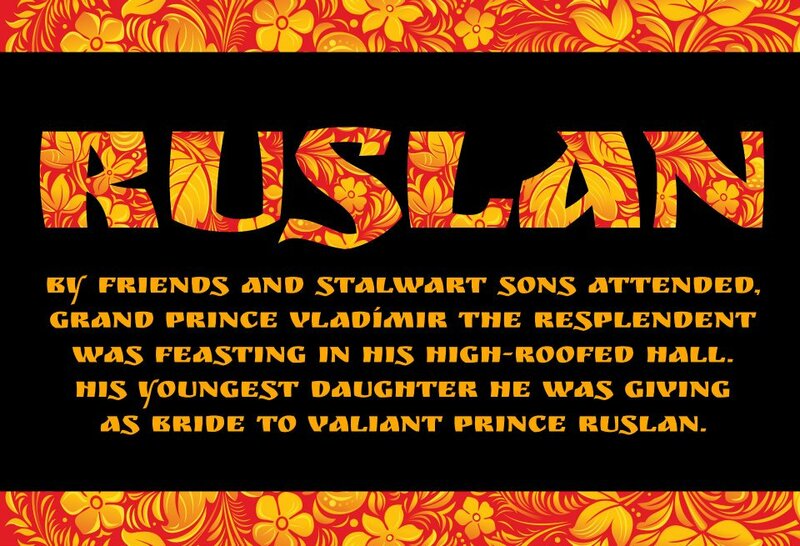 Based on the Cyrillic alphabet by B. Snarsky. 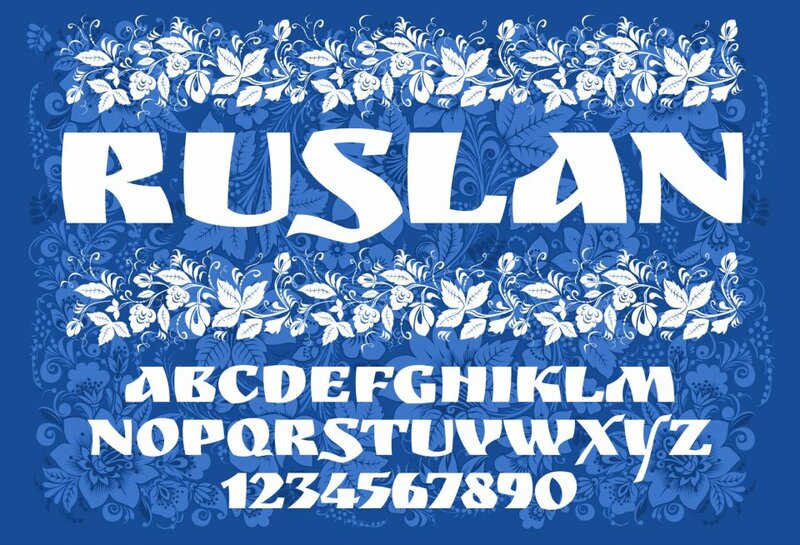 Suitable for lettering, Rusland Display can also be used in to set short texts.